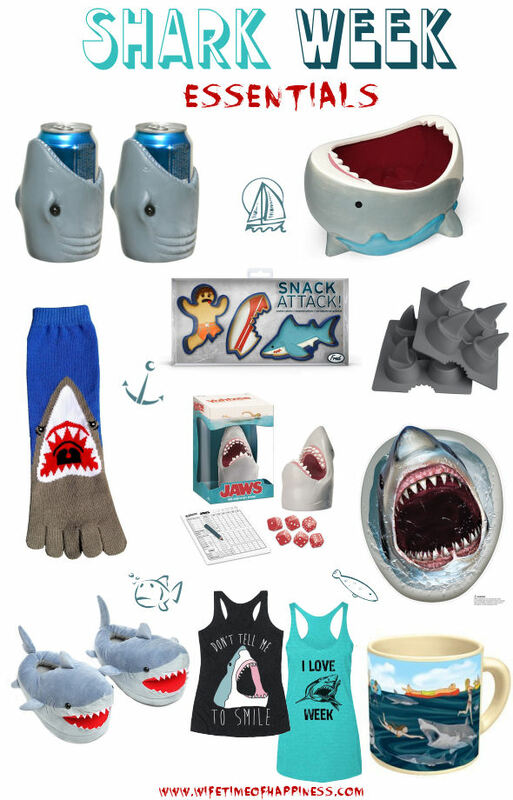 Okay, so while I could literally write a list for days of all the "goodies" that would be perfect for Shark Week – I decided to narrow it down to 10. 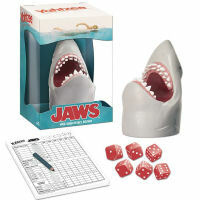 10 (probably) unnecessary necessary…ridiculously fun and cool items that would just make celebrating Shark Week, that much more enjoyable! In no particular order, because I just love em all. Okay, so I'm not a *huge* fan of like…socks haha – But I know so many people who are and these were just too funny to pass by and not add to the list. Even though I am a strict "white socks" girl when I must wear them…The more I look at these cuties, the more I think I may need them. Step into some Shark Toe Socks during your Shark Week Adventure – Enjoy!! So as I'm writing my post, my husband comes over to see what I'm up to and says "I hope you're adding those to cart" haha. These are by far some of thee coolest shark koozies out there and definitely add to the ocean feel for Shark Week. Grab these awesome Shark Bite Coolies from amazon! Particularly funny if you are celebrating Shark Week with a bit of company. Bringing a room to life with a few laughs is definitely a great way to keep your company in line with the theme! Grab yourself the funny and reasonably priced Shark Toilet Topper from amazon.com. Also available on amazon.ca! It's really all about the little details when celebrating any event. 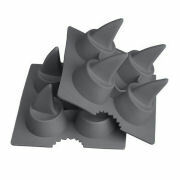 Shark Week is no different and these fancy shark fins cubes are just the perfect addition to compliment any drink! 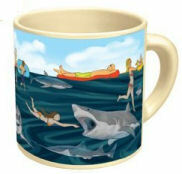 Cool off with these cool cubes – Available from both amazon.com and amazon.ca – Enjoy!! 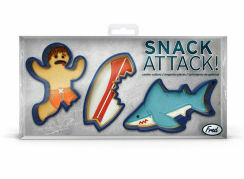 Guys, I don't know about you, but I am so stoked to kick off Shark Week and with some ultra rad products! I hope you have enjoyed this list and have yourself a JAWSOME Week! !